The Lancaster Public Library Bookmobile will be making stops in the Penn Manor community this month so that families can enjoy books and other library materials. Manor Heights Community Center: July 12 and 26, 4 to 5 p.m.
Eshleman Elementary School: July 7 and 21, 9 a.m. to 10 a.m.
Martic Elementary School: July 11, 9:30 a.m. to 10:30 a.m.
Pequea Church: July 12 and 26, 1 p.m. to 2 p.m.
Mt. Nebo United United Methodist Church: July 11, 11 a.m. to noon. 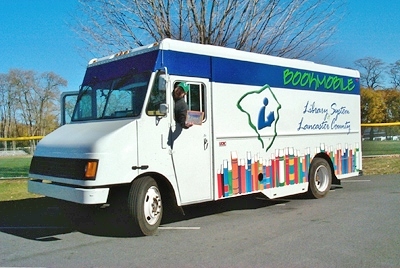 Bookmobile services are open to all residents.